The SPB-RF Cable Tray System has a return flange on the sides and is designed with no sharp edges. 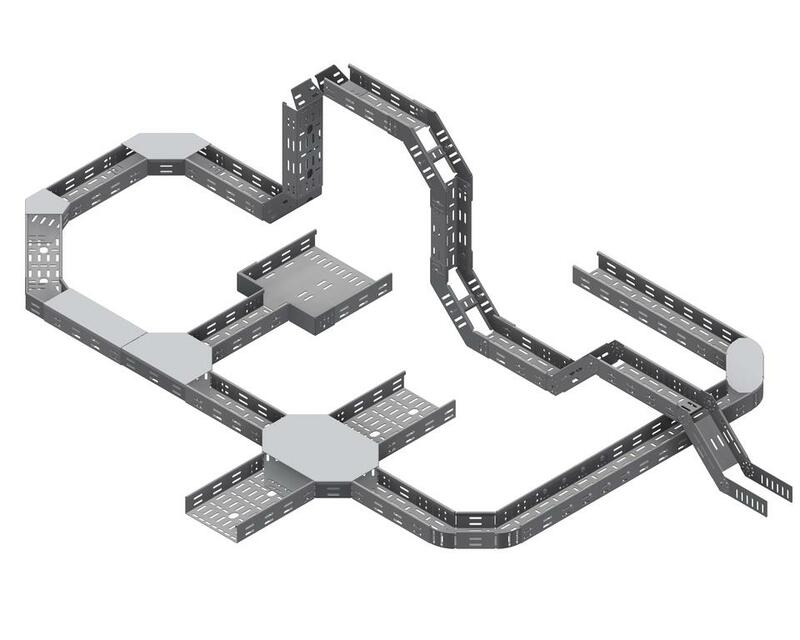 The cable tray system features slot patterns allowing for optimal and efficient positioning of equipment and easy access for cable ties and other fixings. Available in 40 and 60 mm heights, with other heights available on request. 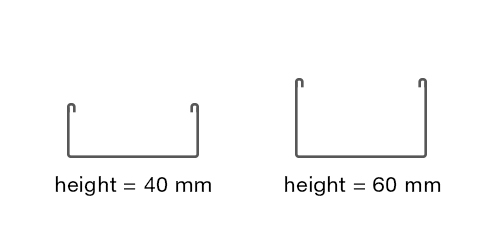 1Widths from 50-200 mm, 2Widths from 300-600 mm, SWL = Safe Working Load. 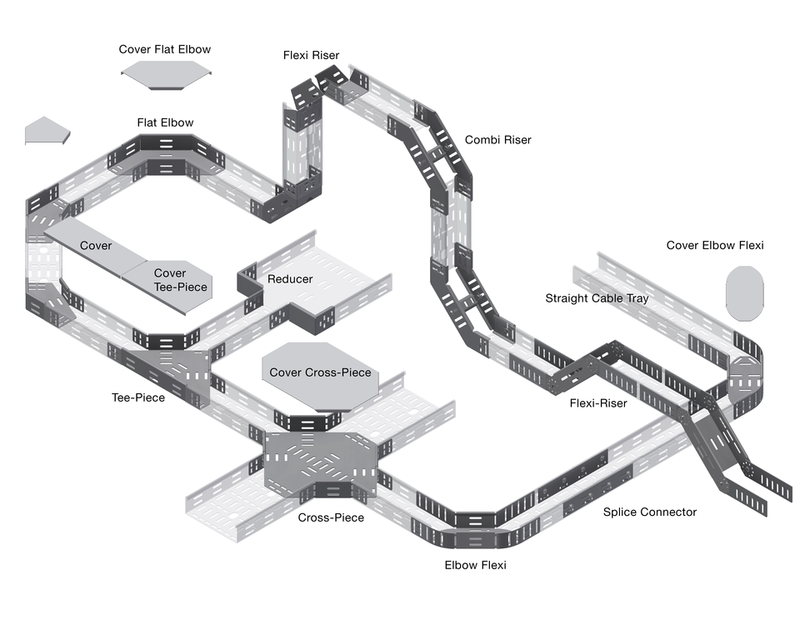 Different tray heights to give more choice for loading space availability. Return flange for increased load capability. SPB-RF comes in standard heights of 60 or 40 mm. Other heights are available on request. 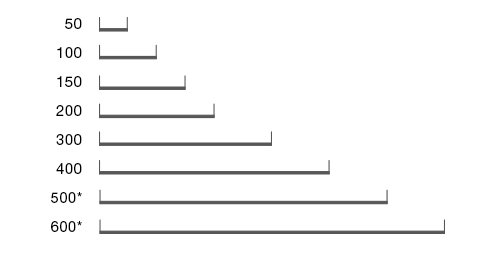 50, 100, 150, 200, 300, 400, 500 and 600. To ensure full flexibility to install all types of Tubing Clamps and other equipment. 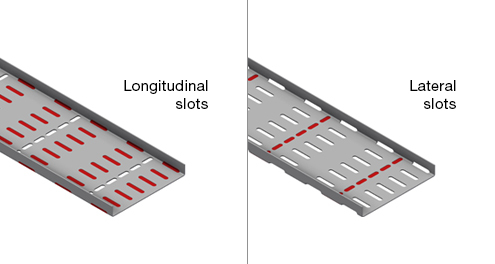 The following slot and hole pattern is generic for the type, however has variances depending on width and material type. The trays come in a variety of materials, depending on the width and are also available unslotted in some widths. 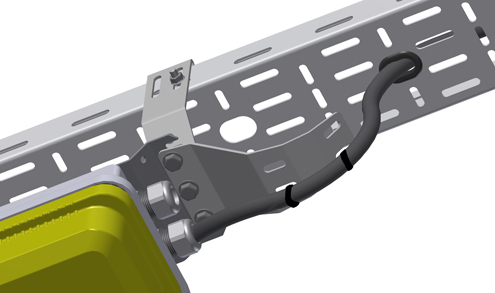 Introducing the new SPB-RF Flexi Elbow 0-90° and its advantages.